I support families during time of transition. Whenever you are moving through a time of growth and change, it is important to have people who will support you and encourage you. You are not just welcoming a new baby into your family, you are becoming a parent. This is a huge transformation and this change deserves to be honored. You need to give yourself permission to feel how significant this is. We all have stories that we bring to parenting. We all have a past. We may have had a long journey to get to this point. We bring all of our life experiences, family stories and traditions and our personal memories and feelings to the birth and to our parenting. They say that everyone who comes into your life brings something that you need to learn. Each experience and each relationship is helping you to grow. And babies are the best teachers of all. But many of us are not comfortable with change. The challenges of this huge transition can push us so far outside of our comfort zone. We can turn into a new person that we don’t recognize and we can’t even remember how we got here. We miss our old self. We need to mourn the loss of our old life even as we welcome and embrace our new self and our new way of being. Birth is an emotional as well as a physical opening. Sometimes we have feelings that are so big, we have no idea what to do with them. And when we become parents, we no longer have the luxury of having just one feeling at a time. As a parent, you can no longer ever just think of yourself. You will find that you have these moments where you are happy and sad, overjoyed and terrified, overwhelmed and in awe, all at the same time. It can be a lot to get used to. When we move through something huge like birth and becoming parents, we don’t just get over it. Even if everything goes as planned and is amazing and powerful and wonderful, we need to stop and acknowledge that. 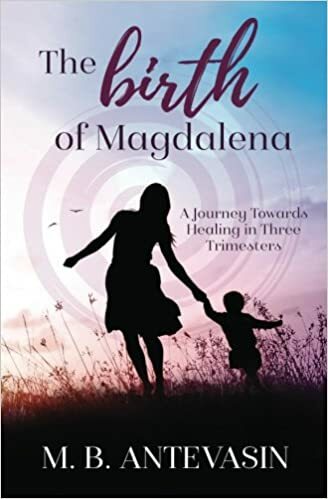 And if the birth or the transition to this new life did not go smoothly, or was not easy, or was even traumatic or painful or hard, we need to give ourselves permission to find help and support with our healing. But we are told in so many ways to put ourselves last. We are told to think of everyone else first. They use the term birth trauma more now than they used to. Sometimes we don’t want to use that word because we think that it needs to be a huge emergency, or a really dramatic moment. But the word trauma just refers to something stressful that happens and we don’t have the resources to heal from the effects of that stress. Our bodies are designed with this amazing stress response that rallies all of biochemistry to allow us to fight back or run away when something dangerous or stressful happens. But because of societal and cultural and family reasons, often we don’t run away. I know at my first birth I was trying to be a good daughter and a good patient and a good wife and a good mother to my babies and so I stayed and I pushed through the pain. But what hurt the most was feeling like nobody could hear me or see me. And then after the birth and even after I started to feel better physically, I didn’t know how to release that physical and emotional trauma from my body. It was years later when I found people who knew techniques that could help. And I wished that more parents knew about this kind of healing sooner, so that they didn’t need to wait as long to feel better as I did. There are aspects of pregnancy and birth and the postpartum period that are just naturally stressful for parents and for babies. So there is no shame is asking for help. Studies have shown that having someone who listens and understands how you are feeling can be even more effective than medication. Everything that you are feeling is valid and important. The Birth can be stressful because of physical positions where the baby feels stuck, the mom is experiencing pain, fatigue or panic. Sometimes there are medical interventions that may cause biochemical changes, be painful, and may lead to separation of the mom and baby. The partner may be worried or feel powerless. Sometimes the partner does not feel included. I help my clients to feel better by tuning in to their physical symptoms and finding the root cause so that it can be healed. I offer an opportunity for parents to process and release any trauma from the pregnancy, birth or postpartum period through private healing sessions over the phone. I can also help to heal any trauma that the baby experienced. In your private session, we can start by giving voice to your story, processing your feelings and noting any physical or mental and emotional symptoms that you may be experiencing. I use a technique that I call Strategic, Inspired Healing that combines my background and experience in the health sciences with the applied kinesiology and quantum energy healing techniques. It is a way to get to the root cause of what may be causing your symptoms (or your baby’s symptoms) and work on changing that so that your health can start to improve. We will identify any family patterns or old stories that you are ready to let go of so that you can create your new family in a way that feels more aligned with your beliefs and your values. I share with you some simple and effective techniques that you can add into your everyday routine that will help you to feel better. I am a mom and a doula and I can answer your questions about life with a newborn. Email me at mbantevasin@yahoo.com to set up your private phone session.